Sharing my Grails Project, any ideas? Wanted to share some of my grails merge projects and if you have some advice for them is even better! I plan to use them a lot, because they are great and free so i can merge without relying on the gatcha god. She is my first grail project that i ended like… 2 months ago, just need to save Dragonflowers. She never disappointed me. 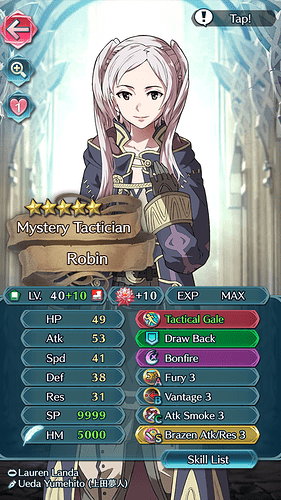 With Fury she activates Brazen Atk Res that brings her defenses to 38/38 and her atk to 60, she’ll be doubled by the naturally fast units but it’s ok, she can take an hit or 2. This is my current project, right now i’m at +4 and 3 Dragonflowers. 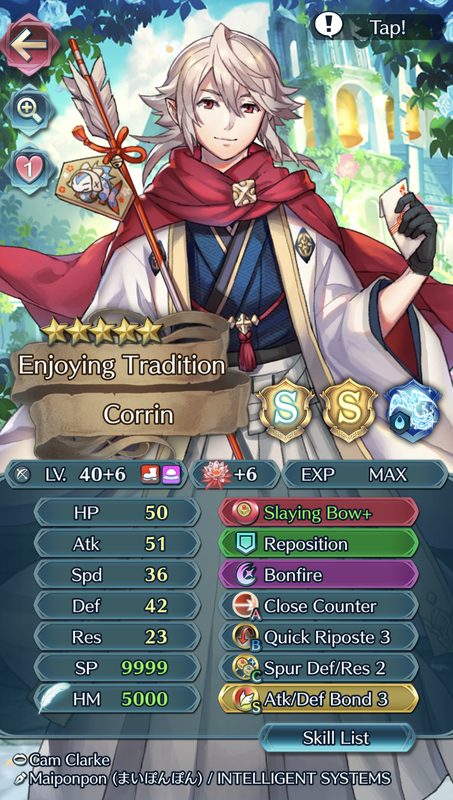 I didn’t want to throw away his crazy support abilities but i also needed an offensive archer that i could use everytime (and he is also member of my Corrin Emblem as an offensive unit and global buffer for the 3 tanks). Often i swap Desperation for Wing of Mercy for some WoM Tricks but with his resistance i think that Desp. is way better. 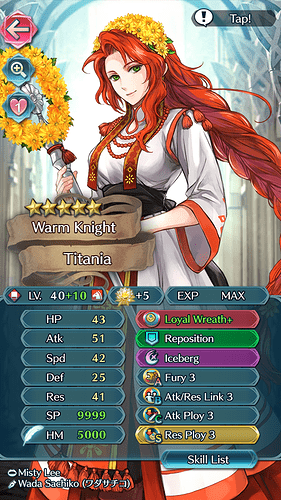 Last but not least, Titania, with her great res i thought to use her to ploy her enemies and help her allies with buffs and reposition. Fury is to fix her stat, yes of course bonds are better but are… quite premium… and 41 res makes sure everyone get ployed no matter what. I don’t like horse emblem i’m more for mixed infantry/flier with some cavalry support (like her, Silas or Priscilla… really, they are the few cavaliers i play with pleasure). Any feedback? I’m open to your comments. And sorry for my butchered english. Fury is nice, but have you thought about running another Brazen? Brazen Atk/Def for more Bonfire damage maybe? I don’t think Life and Death is the best option for Corrin, especially he has Bonfire. He plays support, so I think giving him as much bulk as you can for tanking would be better overall. Maybe Swift Sparrow? Titania is okay. Of course Bladetome would be better for damage dealing, but that relies on who’s on your team and what buffs they’re carrying. i’ll take in consideration using Brazen atk/def on Robin, i didn’t think of that. Thanks! These days i’m running Astra on him just to have fun with his machine gun bow special animation and i actually like it a lot, maybe i should swap Bonfire for Glimmer or Moonbow if i’m taking this build. Titania’s with bladetome is okayish, but is kinda generic i like to keep seasonal weapon on seasonal characters, and Loyal Wreath is pretty strong too. My bad, I completely forgot about you bringing up the other tanks when typing my reply, lol. Then yeah, I can see the need for him to tank being pretty nonexistent. And yeah, Bladetome is pretty boring at times, and it doesn’t help that tomes don’t have the widest selection of tools to choose from. Loyal Wreath I’m kinda iffy about because Owltomes are… arguably better (and not so out there in terms of design). But I foddered my 5* Canas to Henry, so I’d have to spend 20k feathers for it. Loyal Wreath is better when there’s only one adjacent ally, which makes it more versatile. But in terms of potential, Owl tomes are indeed better. 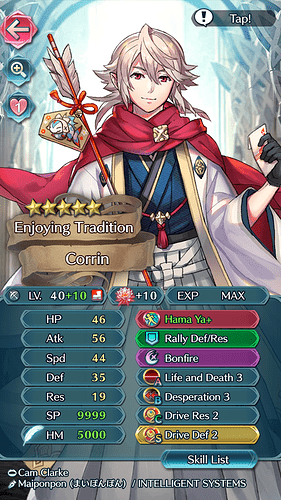 Glad to see another ny Corrin out there. My ny Corrin is coming along. I’ve found he has a lot of flexibility. My current most used build is this. But I’ve had a lot of fun with cc+vantage, atk/spd bond, guard, dist def, res/def wave, etc. His partner is a tactics Titania for (mostly) full buffs.